Yik Yak or yik yuck? Yik Yak is a social media app that has risen to the highest ranks of the Android and Apple app markets. It has struck up popularity not only with its intended audience, college students, but also among teens. The app allows the users to post whatever they want without any personal repercussions. The controversy surrounding Yik Yak is people’s ability to get away with posting horrendous things about their peers without the fear of getting in trouble. Similar to Twitter, the posts are quick, instantaneous blips; but instead of tweets these blurbs are called yaks, and instead of putting a name behind a post, Yik Yak thrives on anonymity. The yaks are only seen by those in your current region or area, but users have the ability to “peek” at other locations (though restricted from voting). Presently, yaks of the lighthearted and humorous nature in the Rancho area are sparse. 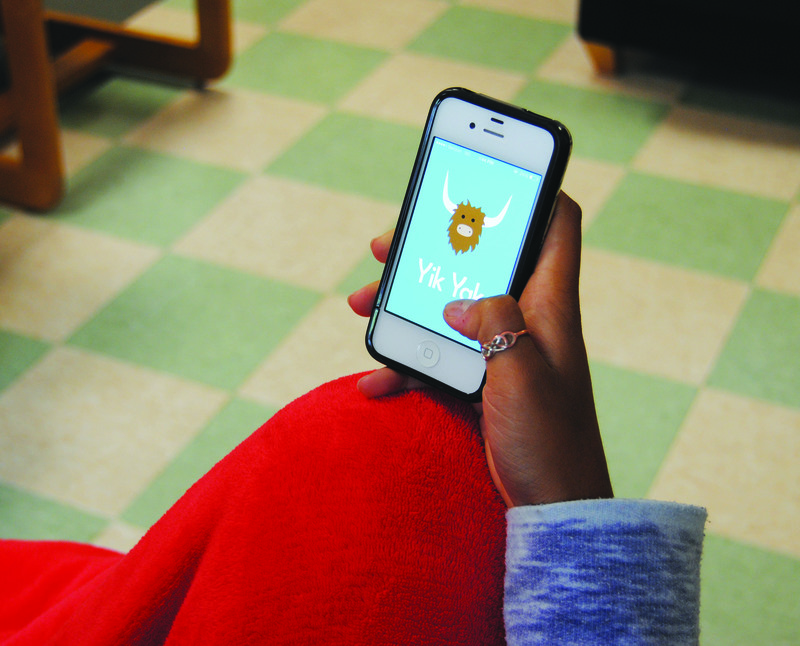 The majority of yaks around Valhalla actually originate from Steele Canyon’s student body, often targeting specific individuals or Steele staff members themselves to ridicule or just outright criticize. “I’d say that most of the inappropriate things are said because of the anonymity of the app,” junior Samuel Doss-Hammel said. While bullying is an apparent aspect of this application, the founders and employees of Yik Yak do not condone these behaviors. When schools in Chicago began to viciously attack other students, the company turned their attention to setting geographical restrictions in which the use of Yik Yak is prohibited in or around high schools—in the meantime, they shut down their operations in Chicago. A trend of the same nature is beginning to take form in the Jamul, Rancho San Diego, and Spring Valley areas: all places heavily populated with Valhalla and Steele attendees. So, how does this affect Valhalla students? The student body has begun to take notice of the offensive comments made by rival schools and are responding with their own. Yik Yak is becoming a battleground where your words are your weapons and you’re shielded by a blanket of obscurity. Posts should be censored more diligently and immediately removed if they specify names or include profanity. By allowing hurtful comments to flourish, people do not have a definitive line and reputations can be obliterated within seconds.